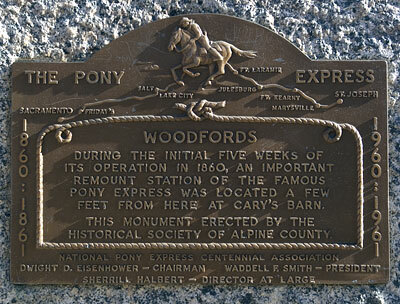 During the initial five weeks of operation in 1860, an important remount station of the famous pony express was located a few feet from here at Cary's barn. This monument erected by the Historical Society of Alpine County. 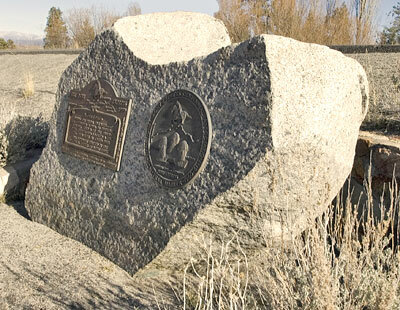 Woodfords became a remount station of the Pony Express on April 4, 1860, when Warren Upson scaled the mountains in a blinding snowstorm and made his way down the eastern slope of the Sierra on his way to Carson City. 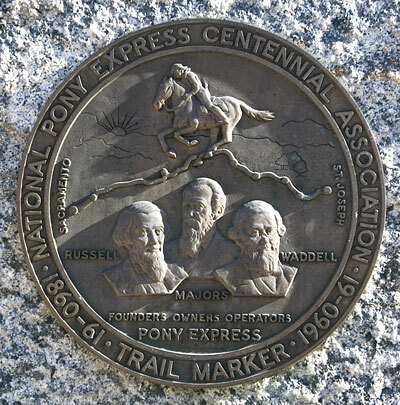 Five weeks later the Pony Express was rerouted by way of Echo Summit and Luther Pass.